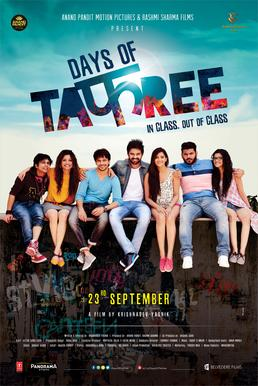 Days Of Tafree - In Class Out Of Class 2016 Songs Lyrics and Videos of all songs: Hindi film Days Of Tafree - In Class Out Of Class film starring Yash Soni, Ansh Bagri, Sanchay Goswami, Sarabjit Bindra. The songs sung by Anupam Amod, Amit Mishra, Arijit Singh. Days Of Tafree - In Class Out Of Class film's original soundtrack album is composed by Bobby Imran. The lyrics of all songs are written by Imran Ali, Aditya Shri Hari, Bobby Imran. It is produced by Anand Pandit, Rashmi Sharma. It is directed by Krishnadev Yagnik.